Do Marshmallows Have Dairy: Can People Who Are Lactose Intolerant Eat Them? Do Marshmallows Have Dairy: Can People Who Are Lactose Intolerant Eat Them? →Do Marshmallows Have Dairy: Can People Who Are Lactose Intolerant Eat Them? Marshmallows are a very popular food item that can be used all year round, as they seem to fit into any season. You can use marshmallows to make rice Krispies, s’mores and rocky road type desserts, among many other possibilities. You can also eat marshmallows by itself if ever you come across a bag or two in the grocery store. Not all people can eat marshmallows and that is the reason why some would ask this question: Do marshmallows have dairy? In this article, I am going to shed some enlightenment on its ingredients, its benefits, and some of its popular uses. I hope that after you read this, you’ll be able to apply what you learn when eating marshmallows. Before we discuss if marshmallows have dairy, it is important that you know first what marshmallows are made of. By doing this, you can make sure that every single ingredient that makes up a marshmallow does not have milk in it. This is vital especially if you are lactose intolerant and cannot consume any dairy products. Modern marshmallows are made from egg whites and gelatin, which are whipped into a foam-like texture. This mixture is then combined with corn syrup, vanilla, and sugar. They are sometimes covered in confectioner’s sugar or cornstarch that prevents its sugary surface from sticking to each other. Marshmallows today come in various shapes, sizes, flavors, and colors. They range from large ones to miniature ones and they seem to fit into every single application. Big ones are often used to make s’mores while the small ones are usually used for hot chocolate, cookies, among others. In addition, marshmallows also come in a lot of flavors including strawberry, vanilla, and even peppermint. What’s great about them is that you can cut it to according to your preferences and the occasion such as Easter bunnies and Christmas trees. Its many uses make marshmallow a delight for everyone who consumes it. Marshmallows also contain emulsifiers or stabilizers such as tetrasodium pyrophosphate. While marshmallows have a milky color and may appear like a heavily whipped cream texture, it does not have dairy. Even though they are dairy-free, it is still wise to regularly check the ingredients before you buy a bag, especially if you are avoiding dairy. It is interesting to learn that marshmallows also do not have lactose content. Because they are made from gelatin and sugar, they are both dairy and lactose-free. However, if you are having a hot chocolate or coffee, you have to make sure that you are also consuming dairy or lactose-free milk. What Are The Disadvantages Of Eating Marshmallows? As discussed above, marshmallows are not exactly made from the healthiest ingredients. However, it is also important that you know that it also has its fair share of health disadvantages, especially if consumed in excess. In this section, we will be discussing how eating too many marshmallows can harm you. Obviously, extra sugar increases the calorie content of any food item. Consuming calories in excess can contribute to weight gain, as well as obesity. This is because there will be no more room for vegetables, fruits, basically every food item that has essential nutrients and vitamins, if you consume too much sugar. 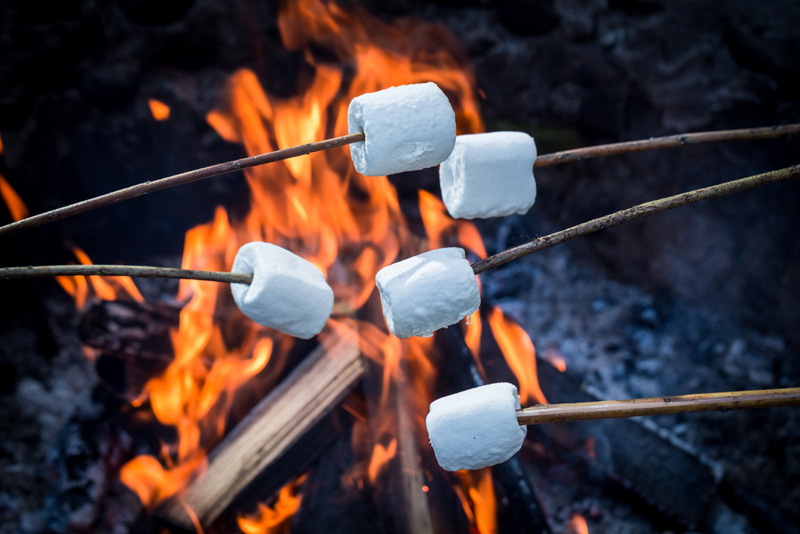 Eating too many marshmallows can lead to heart diseases and may increase the risk of pancreatic cancer due to insulin demand. 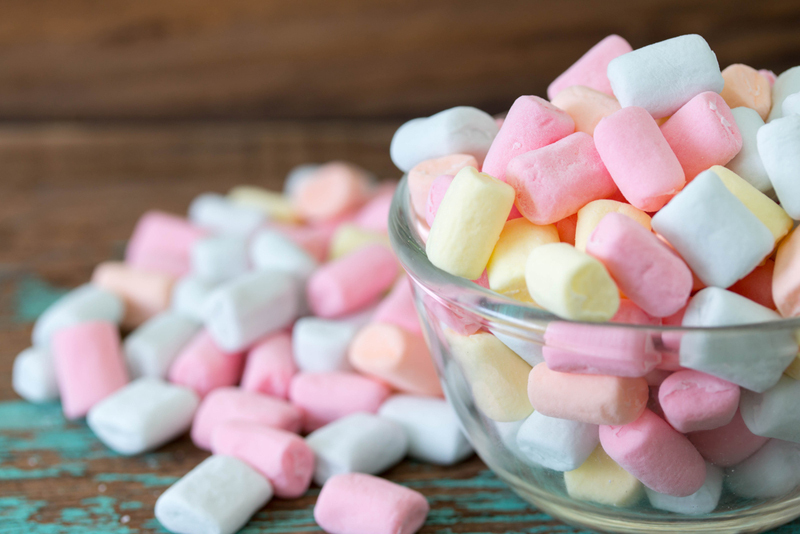 A regular marshmallow has around 4 grams of extra sugar in it, but we all know that we cannot stop after taking just one, we always have it in large amounts. In one sitting, it can safely be assumed that you may be consuming an unhealthy amount of sugar, especially when you finish a bag of marshmallows. In addition, consuming 10 little marshmallows contains similar amounts of sugar. In case you use a cup of marshmallows for a dessert item, 29 grams of extra sugar is consumed. You should also be aware that marshmallows, in general, do not contain any kind of nutrients, vitamins, and minerals, which makes them very unhealthy. However, we all know that its sweet taste makes it irresistible that is why consuming other sweet treats over marshmallows may even be more beneficial for your health. What Are The Most Popular Uses Of Marshmallows? Did you know that you could use marshmallows as an ingredient for a lot of tasty treats and dessert items? 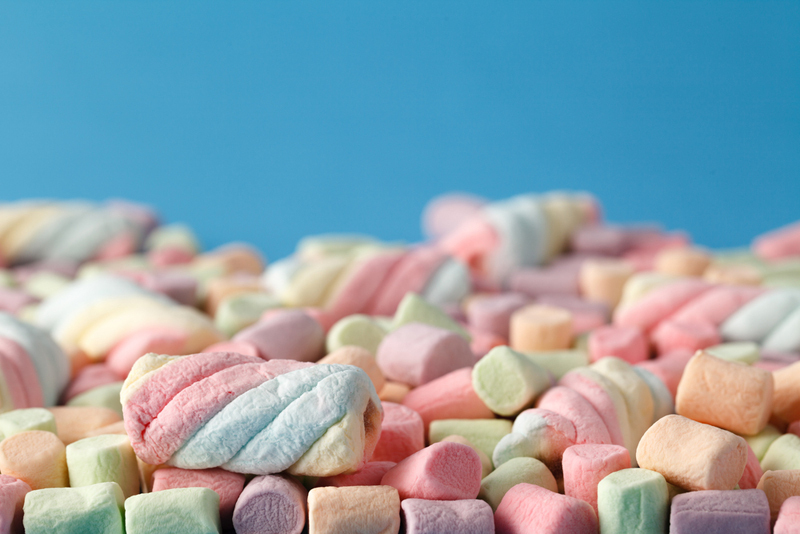 In this section, we are going to talk about some of them and you will realize how incorporating marshmallows into your food will make it more exciting, flavorful, and delicious. Marshmallows can be used to make rice krispie candy corn treats, which you can do using only cereal, butter, and marshmallows. You can also use to make marshmallow fondant, sweet potatoes with pecan, toasted marshmallows and milkshakes, chocolate graham pancakes, snowman marshmallow crispies, and s’mores crunch bars. You can also use marshmallows to create lamb cupcakes with soft frosting, marshmallow snowman pops, sweet potato casserole with marshmallows, brownies, rocky road pies, and white chocolate cranberry cashew popcorn. You just have to remember that moderation is key in order to prevent the abovementioned risk of eating too much of it. Marshmallows do not have dairy, as well as lactose. Even people who are lactose intolerant can eat it because it does not contain milk in it even though it may appear to have such a milky structure and texture. Consuming too much marshmallows can have a lot of disadvantages, given that they are not made from the healthiest ingredients. You just have to remember that you have to eat them in moderation. Marshmallows have a lot of uses, especially in making desserts. You can use a variety of marshmallows depending on your preferences, as they all come in different colors, sizes, and flavors.